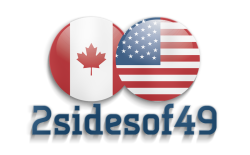 What is 2sidesof49 and why did I create this site? Jun 15, 1846: Representatives of Great Britain and the United States sign the Oregon Treaty. 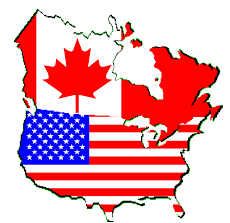 The treaty established the 49th parallel from the Rocky Mountains to the Strait of Georgia as the boundary between the United States and British Canada. Other than the winter weather I love Canada. Like most Canadians I work hard for my money. I contribute and support our government and other institutions via income taxes, sales taxes (GST, PST, HST), Duties, Tariffs, Gasoline Tax, Property Tax, School Tax, Land Transfer Tax, Sin Tax (Alcohol & Tobacco) Eco Fees, User Fees, Luxury Tax, Air Conditioning Tax (Automobiles), Highway Tolls, Mineral Royalties, Agricultural Protection Fees (eggs, milk, cheese), Employer Health Tax, Probate Tax, Time-of-Use Surcharges, Debt Retirement Fees, Delivery Fees, Regulatory Fees (hydro), Gas Supply Charge, Transportation Fee, Delivery Charge, Gas Cost Adjustments, CRTC Fee, Government Recovery Fee (natural gas), Fuel Surcharge Fees, Navigational Surcharge, Insurance Surcharges, Air Travelers Security Charges, Airport Improvement Fees, Peak Travel Fees, Foreign Taxes, Fees and Surcharges. After paying all these charges (approximately 57% of my total earnings) I want to make what's left can go as far as possible to support my family, my hobbies and a reasonable lifestyle. This is why I became a professional Cross-Border Shopper.